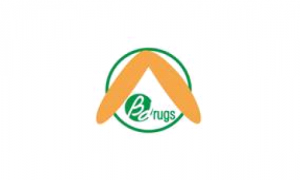 Business description from prospectus – Beta Drugs is primarily engaged in the manufacturing of oncology products. Its products range from anticancer tablets, capsules, injections and lyophilized injections. The company started production of oncology products by manufacturing portfolio of over 35 products which is used for the treatment of various cancer disease. As on March 31, 2017, the company had a portfolio of over 50 products products catering to various oncology diseases including breast, brain, bone, lung, mouth, head & neck, prostate, haematology, cervics, oeaophagus etc. It has increased its product range, starting from 35 in 2015-16 to 50 active products in 2016-17. The company’s oncology portfolio includes key brands like Admine, Adgef, Addplatin, Erlotad etc. Beta Drugs IPO allotment status is now available on Link Intime’s website. Click on this link to get allotment status. Guys buy this share as soon as it lists….It’s going to be a multibagger stock. Mark my words. What is the gmp for beta drugs?